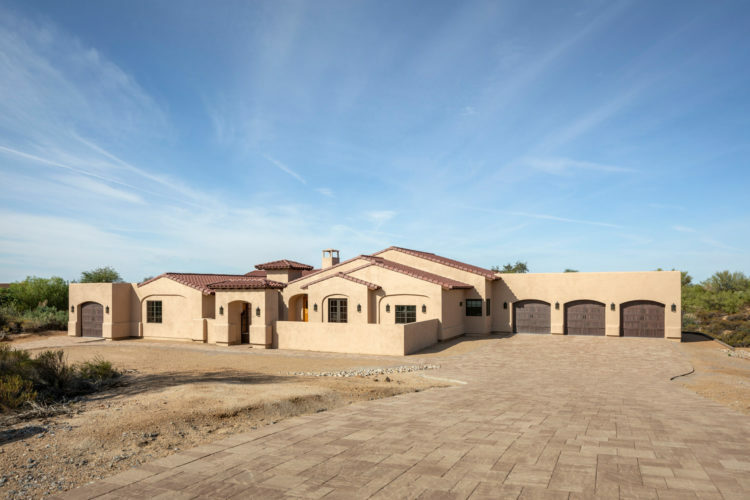 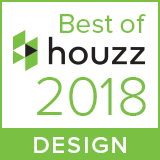 Ground up new residential custom home, totaling 3,343 livable square feet featuring a total of 4 bedrooms and 5 bathrooms between the main house and attached guest casita. 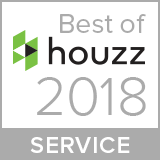 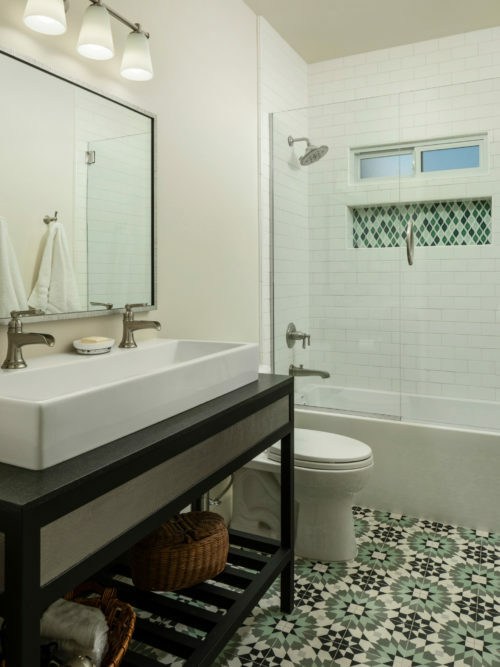 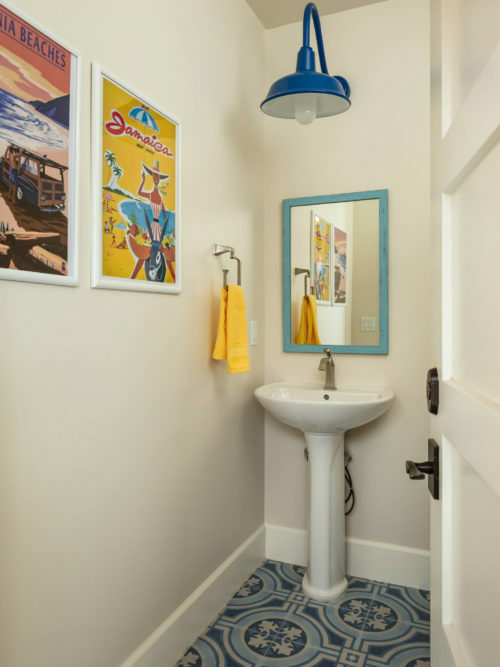 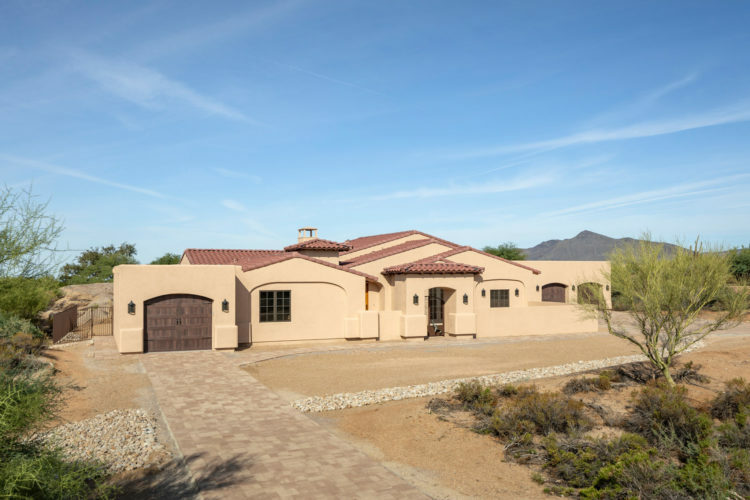 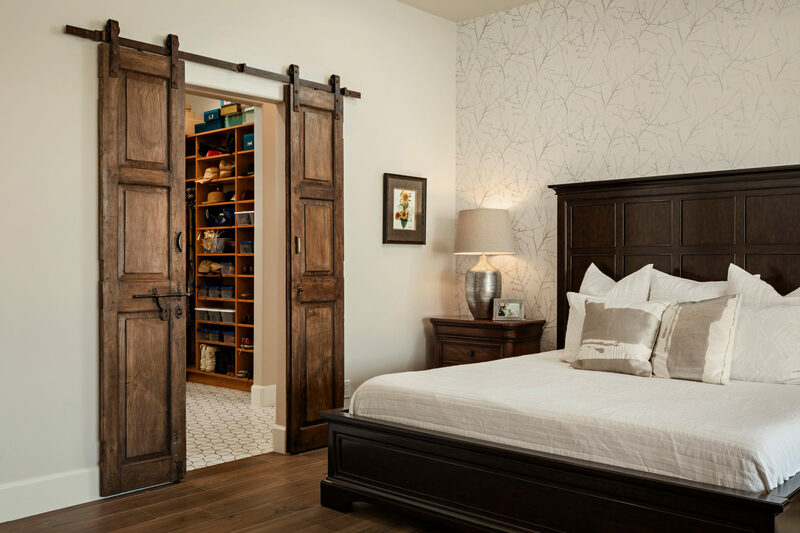 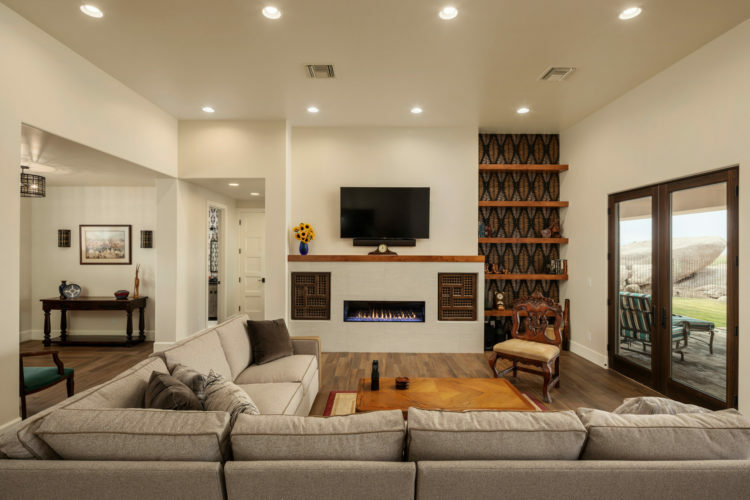 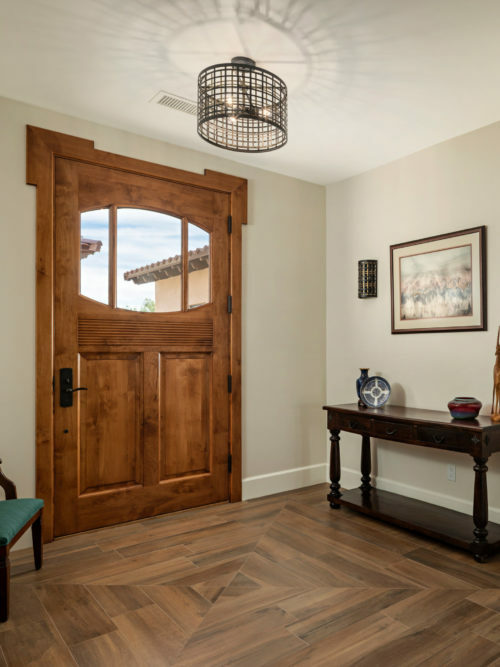 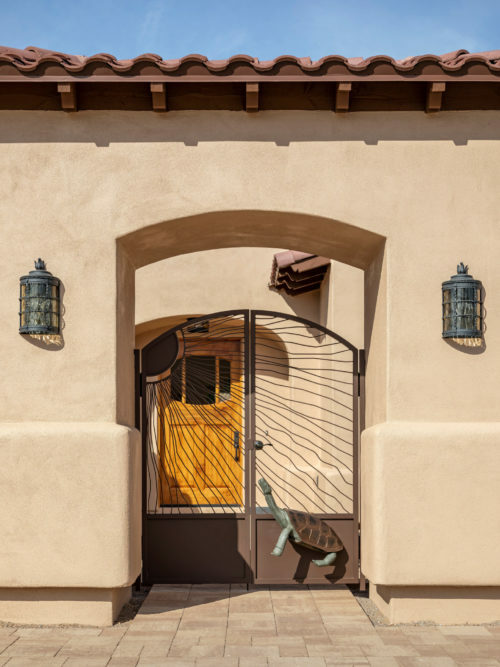 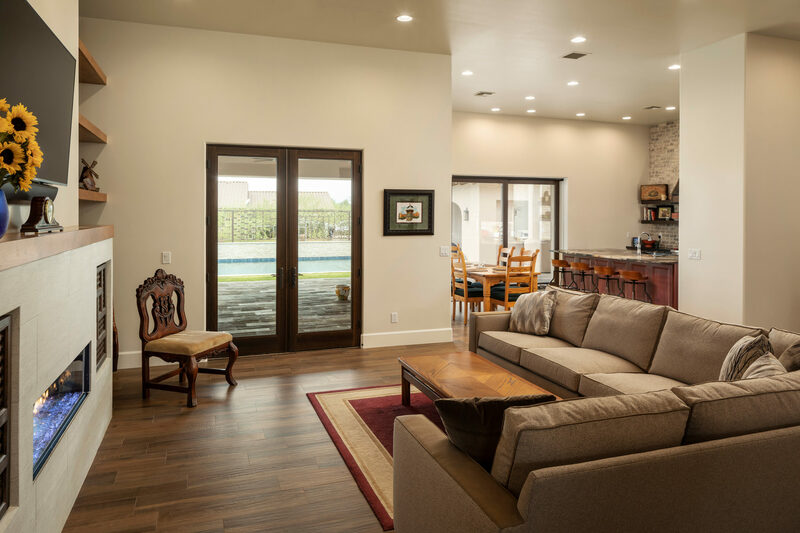 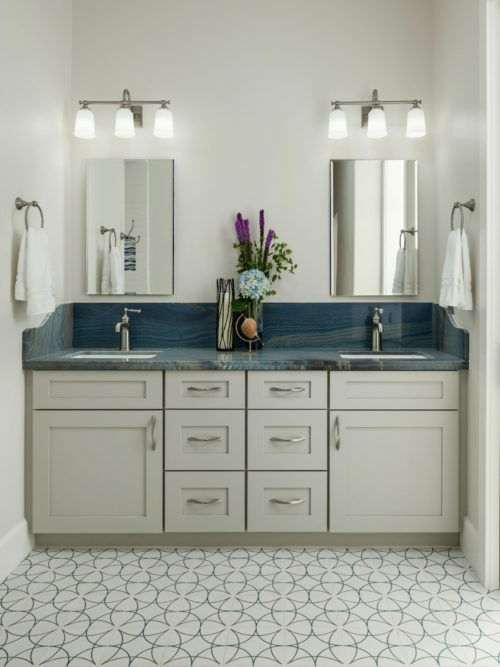 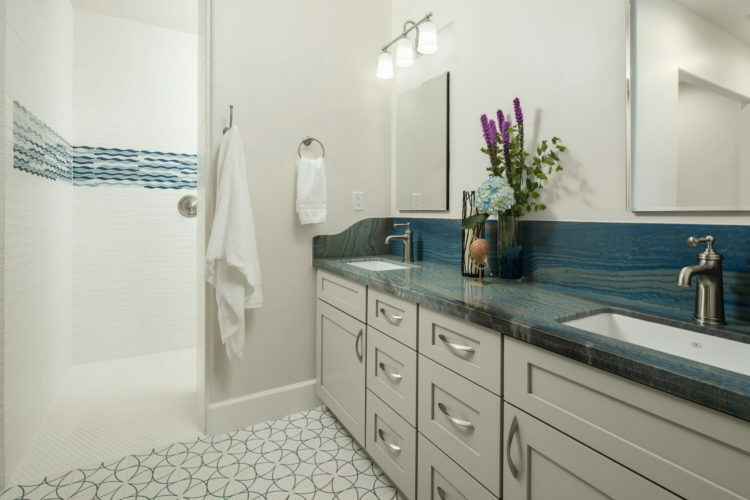 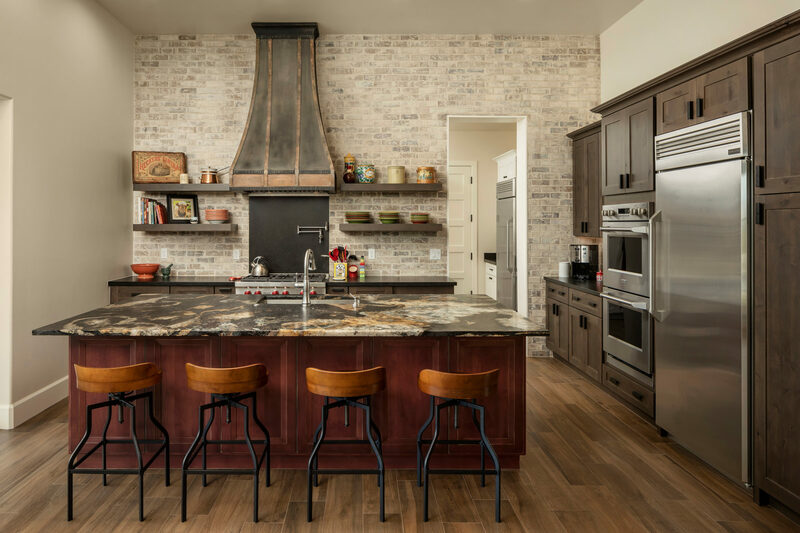 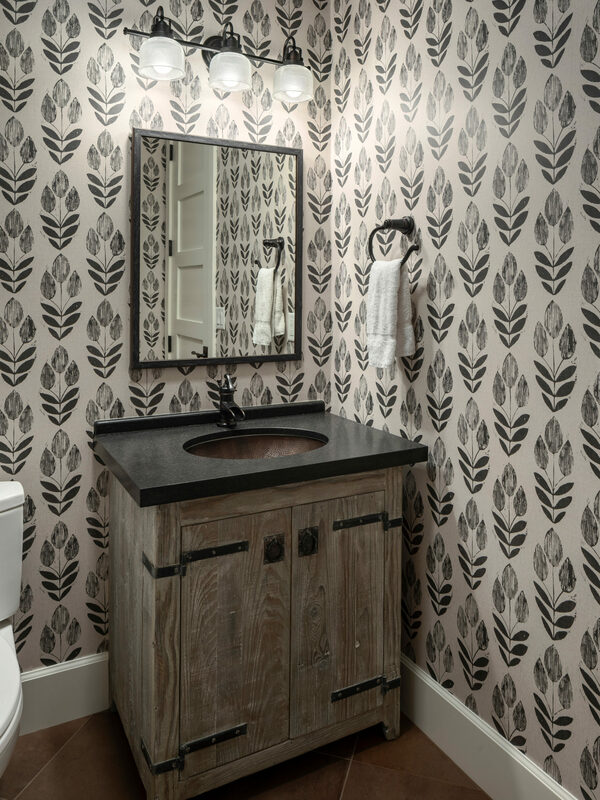 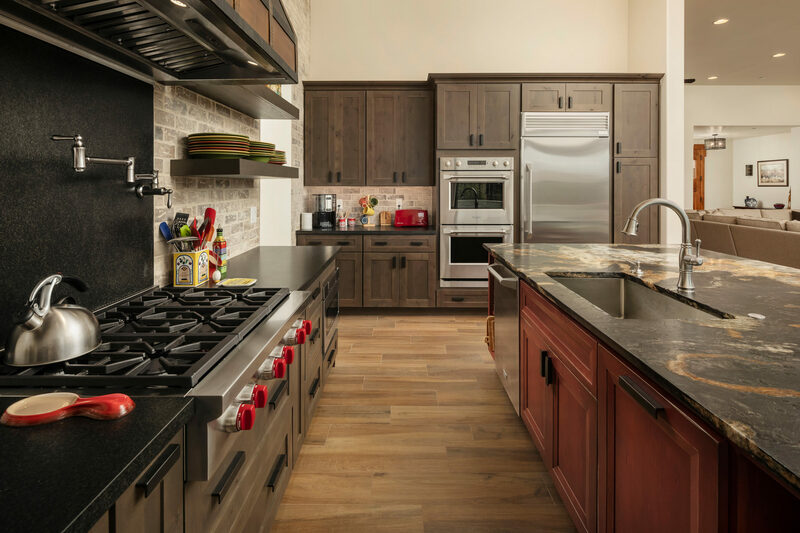 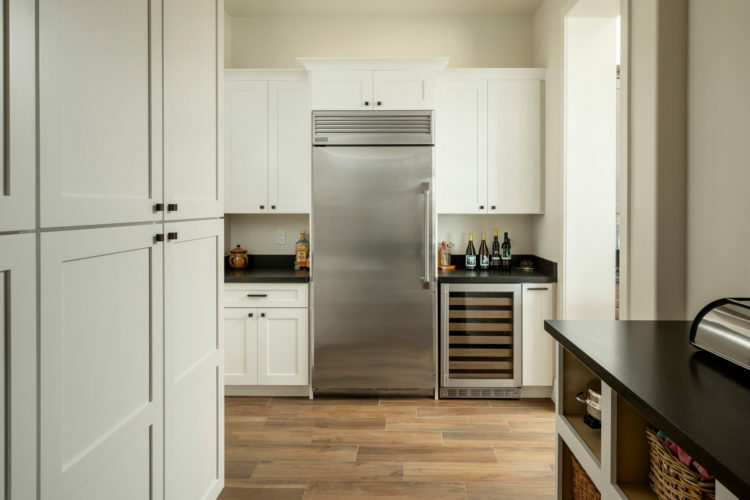 Guest Casita – Our clients wanted to provide their visiting family and friends their own separate space by incorporating an attached guest casita featuring 2 bedrooms, full kitchen, and its own garage and separate entrance. 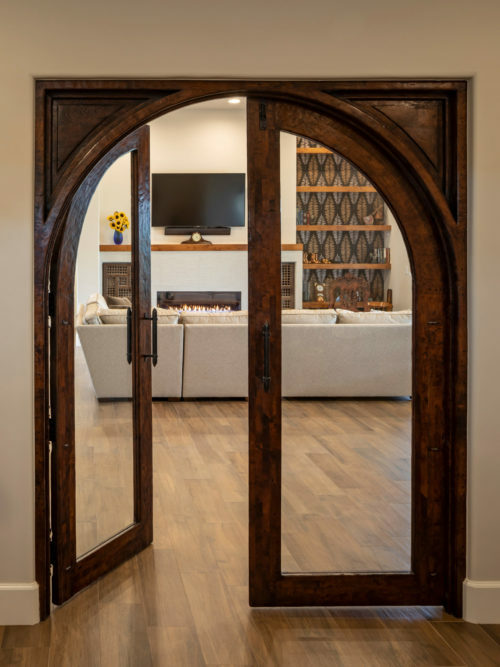 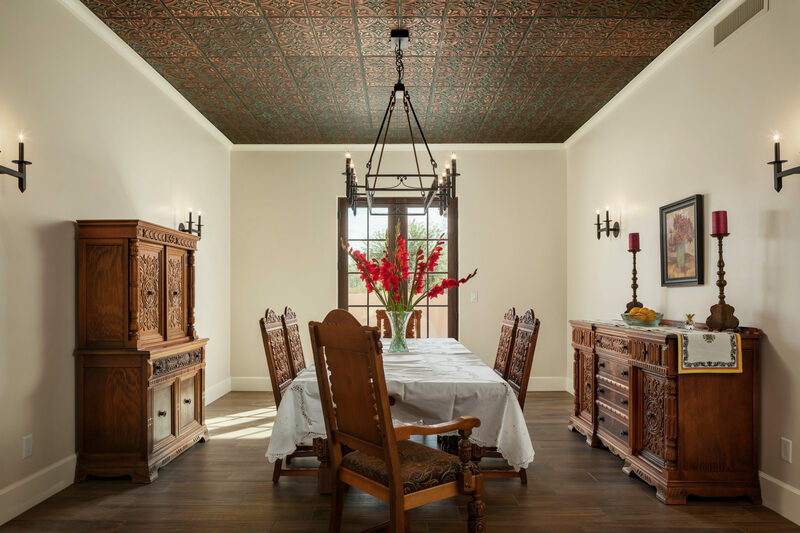 Old West Details – The copper tin ceiling in the dining room provides along with the found, rustic, arched double doors at the office provide stunning detail and reflects our client’s appreciation for the Old West. 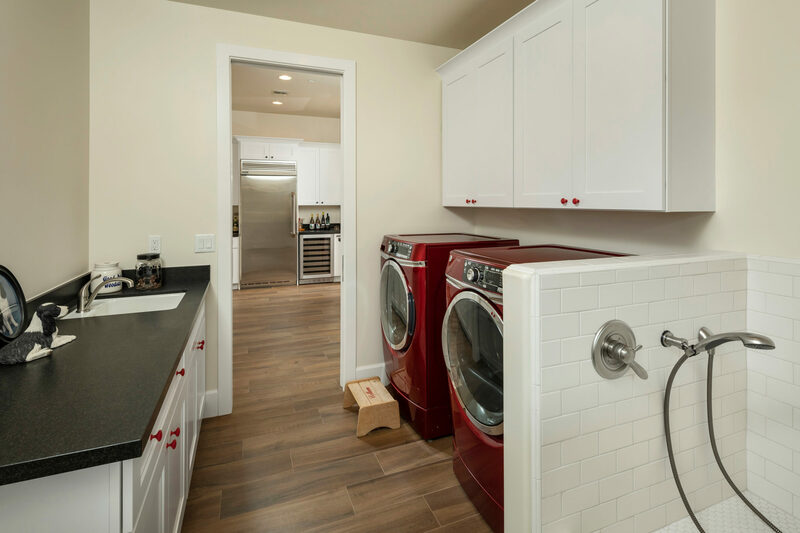 Custom Dog Wash – The house features a large pantry and laundry room with a custom dog wash shower in the laundry area. 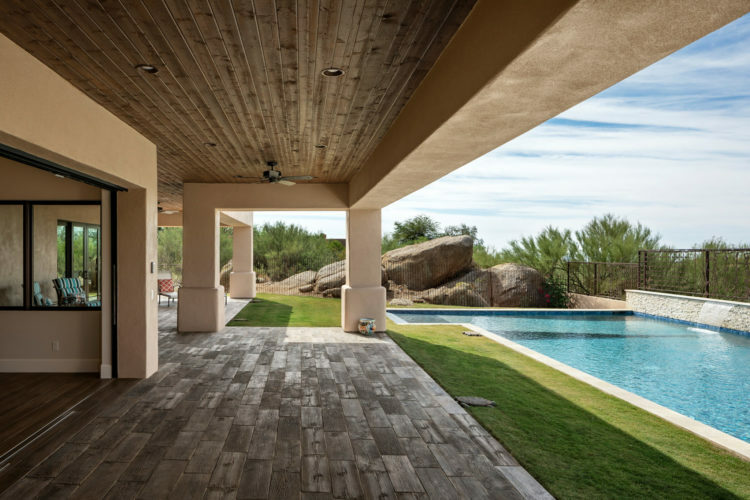 Outdoor Retreat – The covered patio, featuring a tongue and groove word ceiling, runs the length of the rear of the house, providing plenty of shaded space. 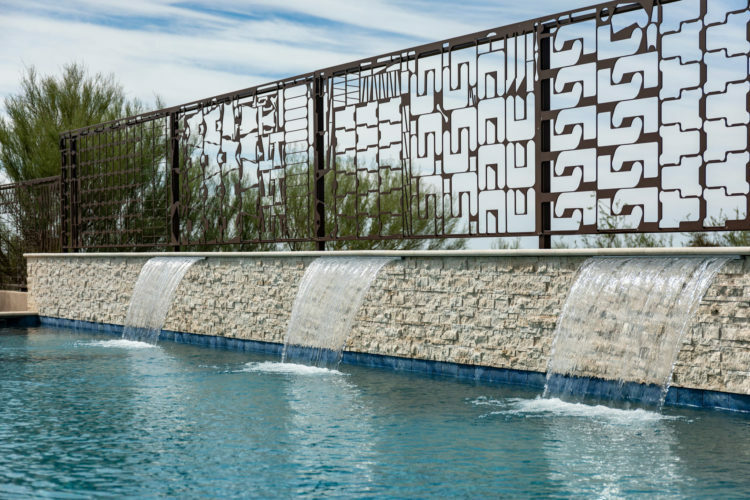 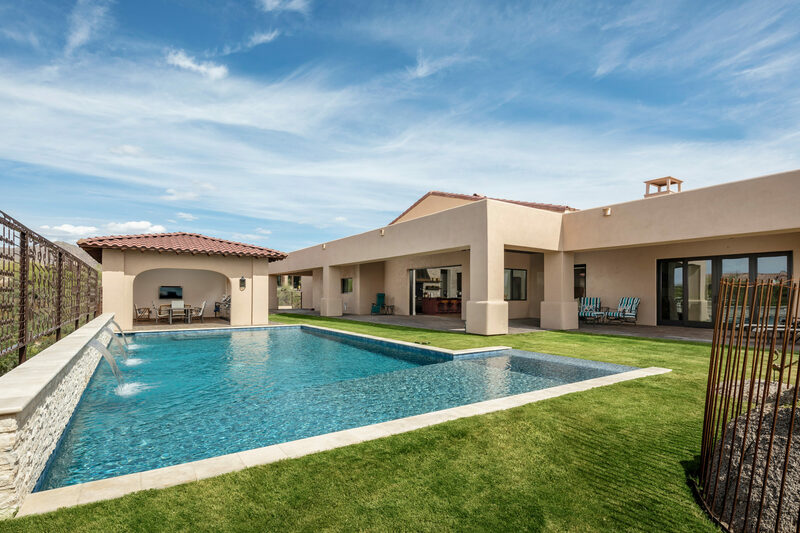 A covered outdoor pool ramada featuring a TV, BBQ kitchen with bar top, and ample seating adjacent to the pool with water features provides for the ideal entertainment space to relax and enjoy the beautiful North Scottsdale views. 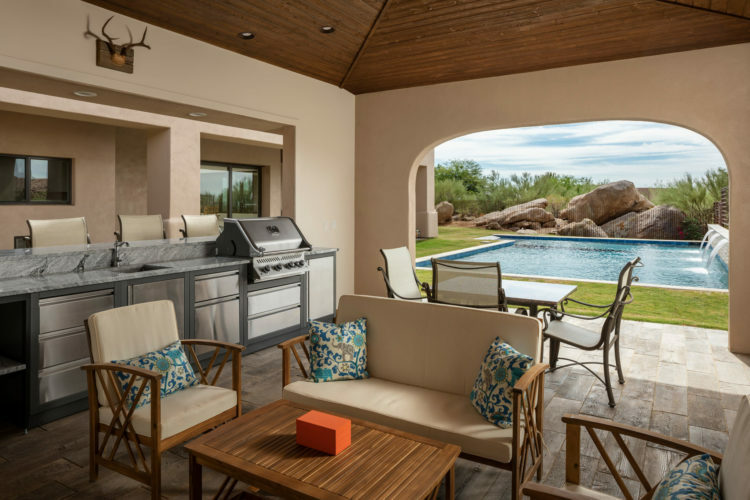 A pool bath off the patio enhances provides additional convenience for outdoor living. 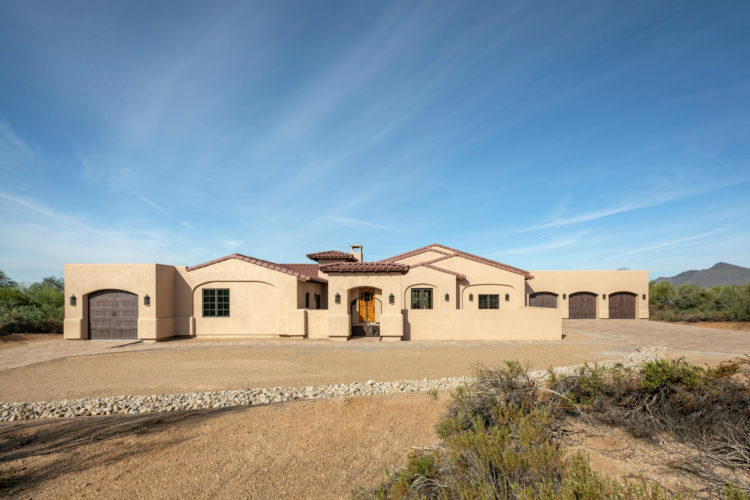 Additionally, the site features a naturally occurring rock formation that resembles a turtle, leading our client’s to nickname their homestead Turtle Rock. A full-featured single-story home that fits this couple’s needs to enjoy the natural desert and entertain guests, with a fun pool for the visiting grandchildren.